The Oilers have never had the first overall selection. The odds were in their favor, as they had nearly a 50% chance to land the pick. No one will know if Taylor Hall of Tyler Seguin will become the first pick until the draft in June. The rest of the top five fell exactly as the odds would have indicated. 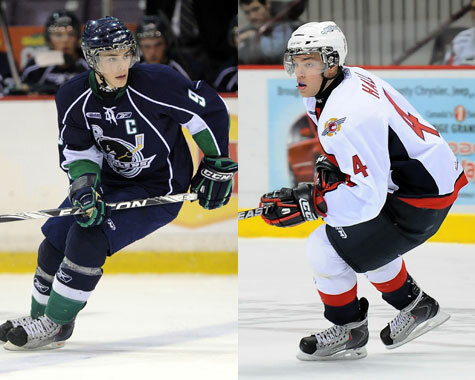 TSN interviewed both Taylor and Tyler, the leading candidates to be selected first. One interesting tidbit: It was mentioned that Taylor Hall wears number 4 in honor of Bobby Orr. He now has a 50/50 shot of being a Bruin courtesy of the Phil Kessel trade.